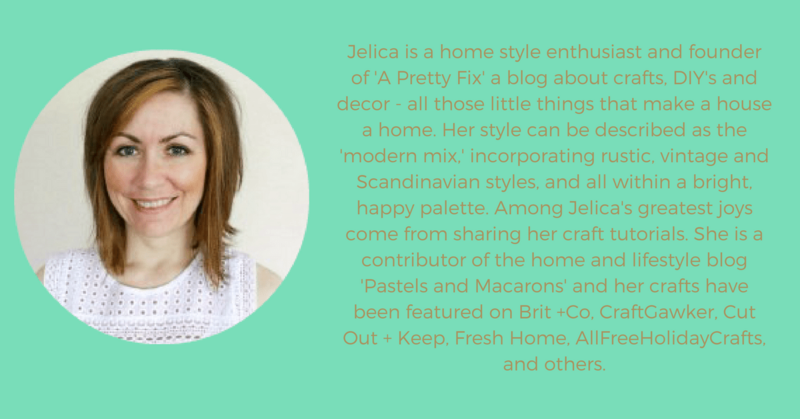 I started following Jelica awhile ago on Facebook, and I just love looking at all of her crafts and style tips in my newsfeed. I am super excited that she is here to share part of her blogging journey with us! I would consider myself a ‘home style enthusiast’ (sounds fancy!). For me, this simply means that I love to tinker away at my home, styling it through handmade crafts, DIY’s, and store-bought accessories. I love the process of seeing my home go from ‘builder basic’ to something that reflects my personality. My style incorporates the ‘modern mix’ which uses rustic, vintage, and Scandinavian decor inspirations, but all within a bright and modern aesthetic. Crafts are a particular focus on my blog. I love creating wall hangings, wreaths, art, pillows, and just about any craft that makes my home feel cozier. One craft that I am particularly fond of is weaving! I took it up a few years ago and have fallen in love with it. It has quickly become a popular subject on the blog (and on the internet). My most popular posts include an Introduction to Weaving, Weaving Techniques, and DIY Woven Coasters. How do you stay organized? Do you use an editorial calendar? scheduling, goal-setting). I am not affiliated with the blogger who created it, but I am grateful for having used her planner. I did not use all of it but found the parts I did use incredibly helpful. This year, armed with a bit of knowledge and focus from using Hey There Home’s Blog Planner, I decided to create my own planner based on my current goals and plans for the year. I also find it valuable to be a part of a facebook group that focuses on the business side of blogging. Just the other day, Gemma Bonham-Carter, who runs the group, offered some extremely practical tips on how to stay organized this calendar year. I am very grateful for the advice I receive from other bloggers. Do you have a set routine for social media posts? Good question! I try to pre-schedule my social media on the weekends. I use Facebook, Twitter, and Pinterest and use different scheduling tools for each. For Facebook, I find interesting content, including my own posts, and schedule them Mon-Fri (sometimes Saturday) using Facebook’s internal scheduling tool. For Twitter, I use something called Twittimer which allows me to schedule tweets along with photos. Unlike some scheduling systems, the photos on this system are large and beautiful, which for Twitter, is a bonus. You need to capture people’s attention and do it in a few seconds. There is a fee associated with this service. For Pinterest, I LOVE to use Tailwind which also costs, but the outcome is great. Before Tailwind, I used to pin manually and, consequently, I had a tiny following. Once I started using Tailwind, the number of followers has increased steadily. In fact, I get the most traffic from Pinterest now. But, I have a lot more to learn. At some point, I may try a second scheduler like Board Booster, as I hear great things about it, but for now, Tailwind is my favorite go-to for Pinterest. I simply love it. In what ways do you monetize your blog, and which has been the most successful? only course I have purchased and I am learning so much all in one place. However, if you can’t afford it right now, then she has plenty of free tips and resources on her site. What made you want to become a blogger? I wanted to have a creative outlet for all of my home projects. I love to style, craft and DIY in my home, but I also love to write. After a few years of reading other blogs and getting such enjoyment from them, I started to get the blogging bug! 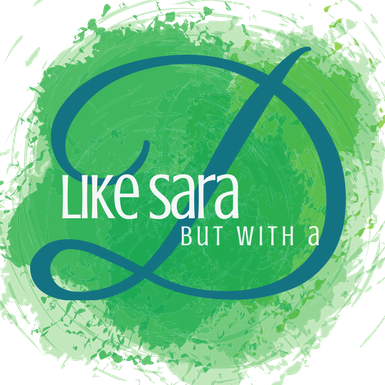 And now, I cannot imagine NOT having my blog. It is a true extension of my creative passions! My one piece of advice would be to get connected with other bloggers -whether it is through link parties, facebook groups or even collaborative group boards on Pinterest – these are all great platforms for learning and being creative together. As a natural introvert, I love to be left alone to create 🙂 But in order to grow as a blogger and to promote my blog, it’s important to invest in others! The blogging community is incredibly supportive and I have felt so blessed by each and everyone that I have met. What is next for A Pretty Fix? I just launched my newsletter last month, and I am very excited about it! Subscribers will get weekly home style, craft and decor tips, resources and the occasional freebie 🙂 Interested? You can sign up here. Interested in doing a #bloggerstarshine interview? Comment below, and I will be in touch!